The fighting underscored the fragility of a United Nations-backed ceasefire reached earlier this month after days of deadly violence between armed groups in the capital, beset by turmoil since the fall of dictator Muammar Gaddafi in 2011. Tuesday morning’s clashes centred on the main road to Tripoli’s long-closed international airport, according to witnesses including an AFP journalist. Fighting which broke out late last month killed at least 63 people and wounded 159 others – mostly civilians – before the ceasefire came into effect on September 4. Last week, the capital’s only working airport came under rocket fire just days after reopening following the truce. 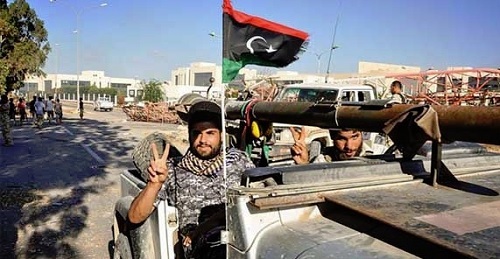 Mitiga International Airport, located in a former military base that includes a prison, is currently controlled by the Special Deterrence Forces, a Salafist militia which serves as Tripoli’s police force and has been involved in clashes around the capital. Interior Minister Abdessalam Ashour said on Monday that a “regular force” would be tasked with securing the airport. UN envoy Ghassan Salame later reported 14 ceasefire violations around Tripoli, but sought to play them down, saying the deal had been “generally respected”. Tripoli’s main airport has been out of action since it was severely damaged by similar clashes in 2014.